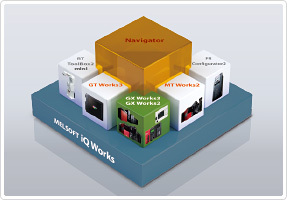 MELSOFT iQ Works is an integrated software suite consisting of GX Works3, GX Works2, MT Works2, GT Works3, RT ToolBox2 mini, FR Configurator2 which are programming software for each respective product. Integration is further enhanced with MELSOFT Navigator as the central system configuration incorporating an easy‑to‑use, graphical user interface with additional project-sharing features such as system labels and parameters. 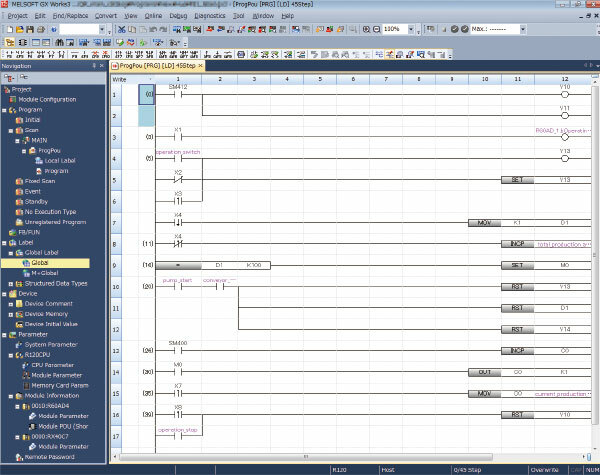 The advantages of this powerful integrated software suite are that system design is made much easier with a substantial reduction in repetitious tasks, cutting down on errors while helping to reduce the overall TCO. 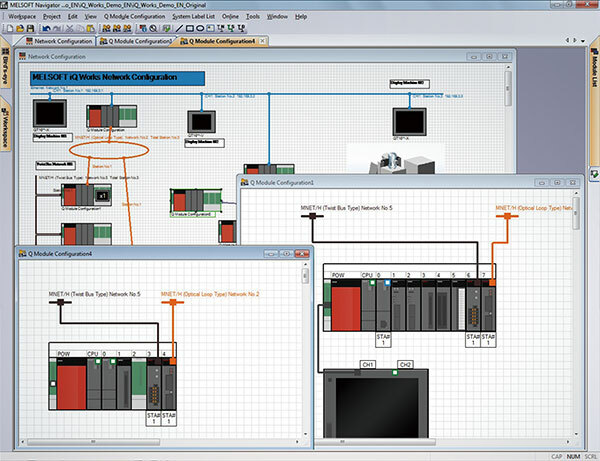 MELSOFT Navigator, along with GX Works3, GX Works2, MT Works2, GT Works3, RT ToolBox2 mini, FR Configurator2, facilitates system level design and acts as the interface between each software. Useful functions include design of system configuration, parameter batch setting, system labels, and batch read. Graphical and intuitive operability, easy programing by just "selecting", and diagnosis function for easy troubleshooting reduces engineering cost. 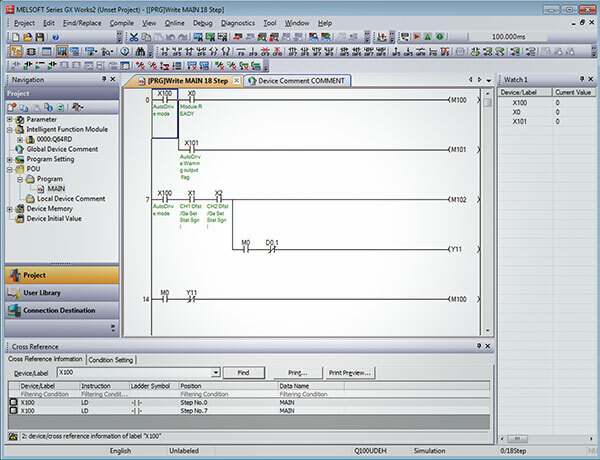 Incorporating legacy support of programs created with GX Developer, further improving its functionality resulting in reduced engineering costs. 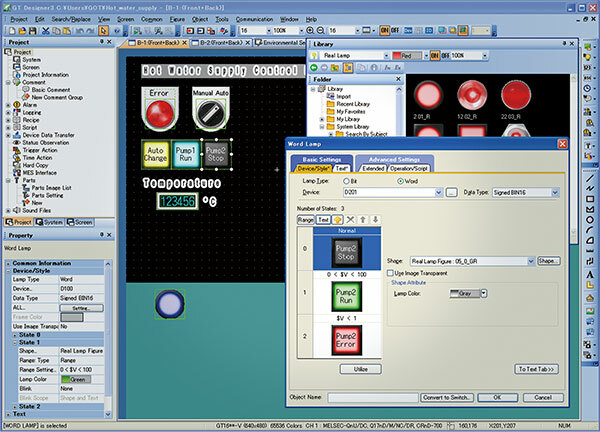 The GOT (Graphic Operation Terminal) screen creation software has been designed with 3 main features; Simplicity, Graphic Design, and Easy-Usability, further helping to create graphic screens with fewer steps. 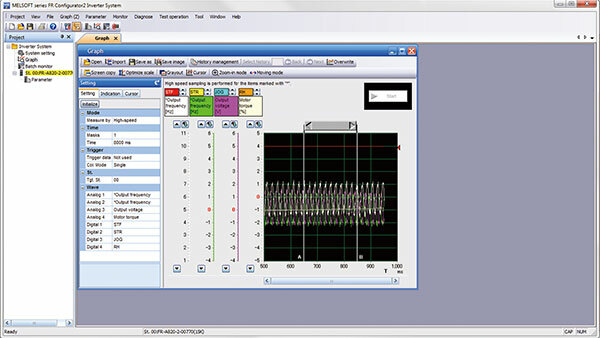 The motion control design and maintenance software includes intuitive graphic based programming together with a digital oscilloscope simulator. This robot setup software supports various steps from programming, to commissioning, evaluation, and maintenance. 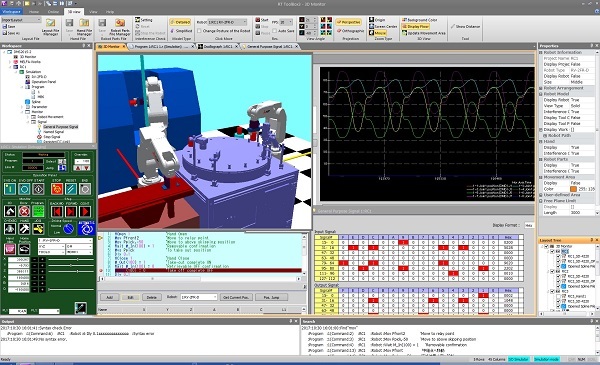 In addition, improved preventative maintenance is realized through the use of an integrated 3D robot simulator. 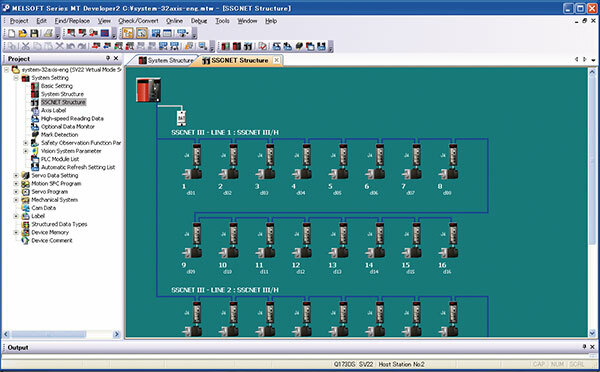 This software simplifies the setup and maintenance of AC Inverters. Parameters can be registered easily and distributed to multiple inverters when replacing, and activation of the PLC function all from one setup screen.